Summer in the Okanagan is HOT and we want our clients to feel the same way about their hair! Don’t be bothered trying to cope with gnarly frizz or sweaty-neck season any longer. Plan B Headquarters is conveniently located in downtown Kelowna to get you looking and feeling your best in no time. Whether you brave enough to rock a full beard and man-bun during our scorching summer months or wish for an artistically styled buzz cut; we have you covered! This hairstyle is perfect for those who wish to express their creative side and change it up from time to time. Enjoy the flexibility of side-swiping or spiking while simultaneously showcasing some killer razor action. The great thing about combining our talented hair stylist and barbers under one roof is that the entire family can be taken care of with the latest hairstyles. Book your family outing in downtown Kelowna today and our staff can recommend some great places to nosh. This is a classic example of how you can maintain some length on top while staying cool at the same time. Enjoy the breeze along the sides and back while you maintain some creative styling control with your modern faux hawk above. Experiment with coloured tips to take things to the next level. 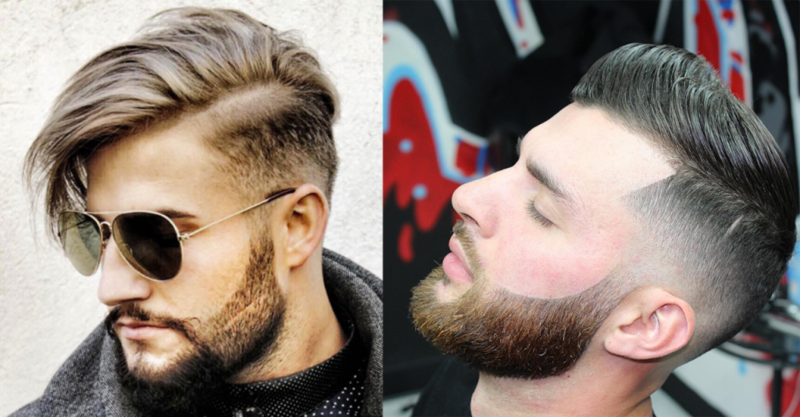 If you prefer it shorter on the sides and longer on top, this side part mid fade can inject the personality you desire. Slick it down or rock your beachy waves…This style lets you get out the door quickly and easily. Embrace your curls without drowning in them. This is an ideal way to showcase your DNA while staying chill everywhere else. This hairdo is in style year round. If you enjoy having a few minutes to blow-dry, style and set, we highly recommend trying this sleek look. Perfect for professional to beach in no time. Stay refreshed and keep the hair out of your eyes with this strategically executed spiky modern undercut. Experiment with some of our wicked styling products to achieve this look in minimal time. Our phenomenally talented team can take your colour to the next level and provide you with a haircut or style that truly reflects your personality. Enjoy the best that Kelowna has to offer and an ice-cold beer while you wait! Book your next hair appointment or hot shave with us today and make Plan B Headquarters part of your next stop downtown!